It all starts with the domain name! Domain name uniquely identifies the name of a website. The user is able to navigate to a website by typing the URL including the domain name on the browser. Q.Can I choose my own domain name? Yes, you may choose any domain name for your business provided it’s available for use and not registered with someone else. Give us a call today to find out if the domain name that you’re looking for is available or not. Q.What is a sub domain? Sub-domains are used to organise the different sections or content of the website. They are similar to creating sub directories within the root directory. They’re also useful in making the URL’s short and easy to remember. Typical examples of sub-domains are mail.domain.com; forums.domain.com; help.domain.com; blog.domain.com; products.domain.com etc. Q.What is a domain name extension? Q.Which domain name extension should I choose? The most popular extension is .com. You may also opt for other extensions according to your business function/ geography. Q.How do I register a com.au domain name? Give us a call today to register a domain name of your choice. Q.Can I use any other domain name extension apart from .com? Yes, it is entirely your choice depending on your business and your preferences. Q.What characters can I include in my domain name? 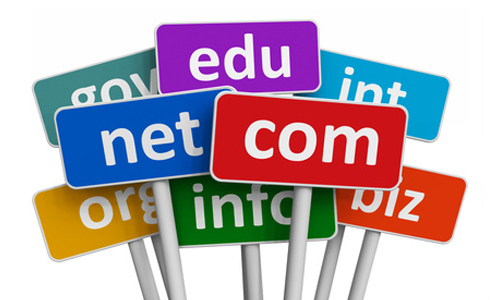 A domain name can be up to 63 characters plus the extension (.com, .net, .org etc.). It can contain upper and lowercase characters (A-Z,a-z), numbers (0-9), or both. It can also contain a dash "-" (example: domain-register.com). "Case" (upper or lower) does not matter with domain names. The domain name "Larry.com" is the same as "LARRY.COM" or "LarRy.Com". Q.How do I find out if my domain name is about to expire? We send out regular notifications before the domain name expiry. You may also check your domain name expiry date on your client portal maintained with us. Q.Do I need a domain name set up for my emails? You need an active domain name to set up personalised emails such as name@domainname.com.au, as it gives a professional outlook to your business.